A comfortable – and comforting venue for your next group gathering. Hallowood offers two conference rooms and several other unique meeting spaces that accommodate a variety of groups and programs. Large meeting space with seating for up to 60 in classroom style and 40 at conference tables. Features include screen, video, and LCD projection. A full range of A/V equipment, including free Wi-Fi service. Bright, windowed space with views of the forest and pond. Cozy, casual room with plenty of natural light. Direct access to the outdoor patio and three season courtyard. Boardroom or other table configuration can accommodate up to 20 people. Features include comfortable couches, chairs, and an inviting wood-burning fireplace. 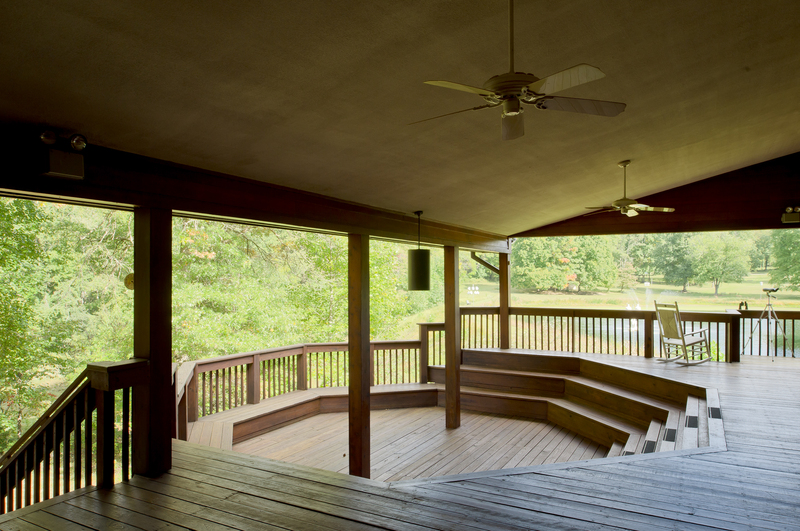 Outdoor, covered meeting area with tiered seating for 60. 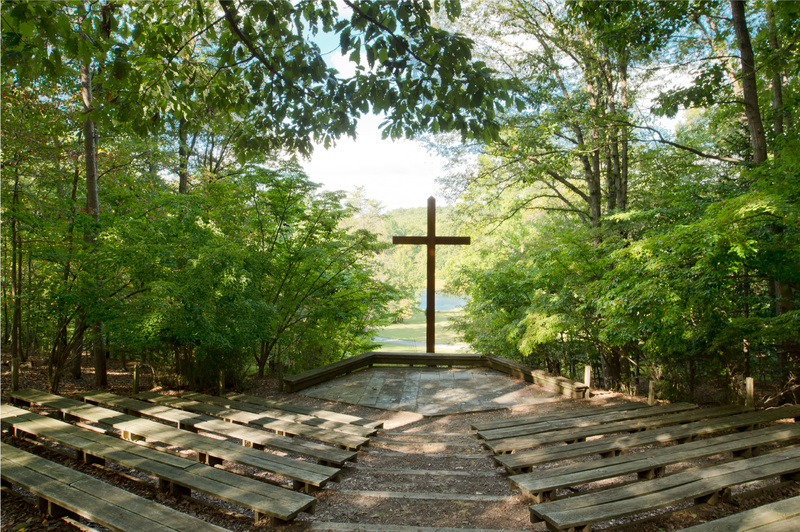 Picturesque views of the woods and mountains provide the perfect backdrop for your presentation, celebration, or worship service. Charming rocking chairs are available for rest and reflection. Outdoor retreat areas features tables for meetings or relaxation and a splendid view of the countryside. Ample intimate meeting areas, perfect for breakout sessions or impromptu encounters. The Holm Worship Center outdoor amphitheater (pictured above). Informal spaces to enjoy bird watching, yoga, or communing with nature.